Recent archaeological discoveries on the Black Isle are rewriting the early prehistory of northern Scotland. 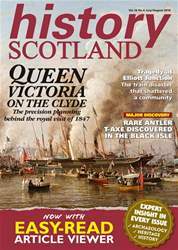 Members of the North of Scotland Archaeological Society have been very active in field walking and survey work in the Tarradale area, and particularly in fields occupying raised shorelines (former estuarine terraces and beaches) east of Muir of Ord near the head of the Beauly Firth. Significant finds have been made from fieldwalking including a wide range of flint artefacts, fragments of both stone and bronze axes, as well as shards of prehistoric and medieval pottery. These finds have produced a great deal of data which has been spatially recorded. The patterns emerging from mapping and analysis, along with crop mark evidence from aerial photography, point to a rich multi-period archaeological heritage in the area. A number of potential archaeological sites has been identified, but because most of the area is good quality agricultural land that is intensively cultivated there are few identifiable remains on the surface, but selective test pitting over the last few years indicates good survival of remains underneath the plough soil. 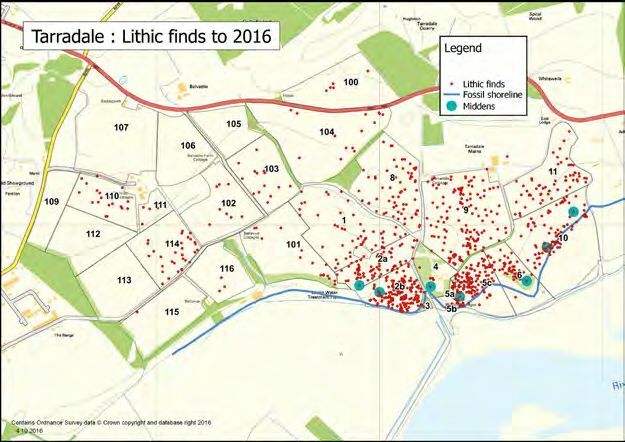 This encouraged the North of Scotland Archaeological Society to initiate a three-year project Tarradale Through Time: community archaeology in the Highlands and to apply for funding for a more detailed investigation of some of the identified sites. From the beginning the project engaged with the local community in order to widen access to heritage and to underline the premise that archaeology belongs to the community and not just to the archaeologists who explore it.